Five years after launching its process aimed at assuming a more active role in human rights policies as municipal administration, Vienna has become an inspiring example of “Human Rights City” in Europe and beyond. At present, the city counts with consolidated policies, institutions and laws that actively promote human rights both as a mainstream topic in local government as well as in regards to specific issues such as equality, child protection or urban security. 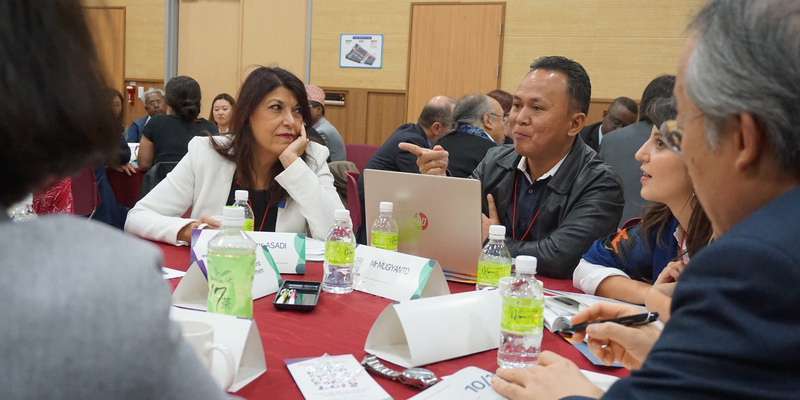 Vienna’s Human Rights Commissioner Shams Asadi took part at Gwangju’s 2018 World Human Rights Cities Forum (WHRCF) in order to present her city’s’ initiatives to the international human rights cities community. It was on this occasion that we had the chance to talk to her on Vienna’s approach to human rights cities at home, as well as on how to foster local government involvement on this topic at the international level. Q1: When and how did the process to become a human rights city start in Vienna? The process to become a human rights city started in 2013 after the Vienna +20 Conference*. One year later, Vienna’s City Council approved the declaration “Vienna, City of Human Rights” (December 2014). That declaration led to the establishment of a Human Rights Office in 2015, which made Vienna human rights commitment more visible both to our citizens as well as to our local administration. Since that moment, this Office has been responsible for coordinating Vienna’s human rights agenda as a cross-cutting topic in the whole municipality. This declaration gives our Human Rights Office guidelines that define our areas of action. In context of publication of the Austrian GRETA-Report 2015, the City Council gave us duty on talking of human trafficking at the local level. Q2: Is non-discrimination a priority for your administration? We have a Federal - Vienna is a federal province and city - “Non-discrimination Act” that provides us legal background on this topic. This act includes all types of discrimination – Age, Sexual orientation, Gender, Ethnical background, Religion or Belief, Disability, Maternity – and allows citizens that believe they have been discriminated by our public administration to go to court. Before going to court, however, we facilitate a mediation service free of charge. This service includes compensatory amounts of money for citizens that have been discriminated. In more than two decades, prevention of discrimination has been one of our main goals. Q3: What initiatives do you carry out in the field of social inclusion and to target the specific needs of groups such as migrants, women or elderly? Then we have the immigration taking place during the last years. The reasons for immigration are very different from each other: some came here just for studying; some others came for working… The needs differ among communities. For instance, the largest community of migrants in Vienna is from Germany; thus, their needs are completely different from other migrants who need to learn German. In case of language courses, the gender aspect should also be considered. The first question: Who will attend the course? Is there any need for child care? Where they work or intend to work? Then you have to offer the tailor made courses to different target groups. We don’t take migrants as a homogeneous group, but try to look at specifics. In the last years, we launched the social inclusion project “Start Vienna” aimed at migrant people with different backgrounds. We look at the specific needs of every community and try to offer them paths for integration. If a migrant comes to Vienna with a specific educational background and skills, we will provide support to continue her or his career. The potential of migration is quite clear for our city. Q4: Throughout the Forum you mentioned how Vienna is strongly committed towards social housing, and looks at the specific needs of certain vulnerable groups, such as homeless people, through a human rights lens. Why is it important to link human rights and housing? In a growing city that has limited place to grow, like Vienna, we are very aware of the importance of housing. As for private market logic, land prices would only increase. What our municipality intends to do is to implement measures – as it has a more than 100 years of tradition- which guarantee that all our residents can have access to housing. Vienna has sound social housing initiatives – the city of Vienna owns about 222.000 social housing (flats) approximately (out of a population of 1, 8 million inhabitants) – and also provides subsidies for accessing housing. Finally, Austria has a national tenant law that helps us regulate the private market. In spite of all these initiatives, there are still homeless people in Vienna, though it is very difficult to record it in numbers. In order to tackle this phenomenon through a rights-based approach, we launched in targeted fields. According to the Convention on the Rights of the Child, we have to be careful because children should never lose their connection to education, food or health services. We then try to take care of families and connect. In winter time our city also offers a shelter and food called “winter package” as a way to protect homeless people from extremely cold temperatures. 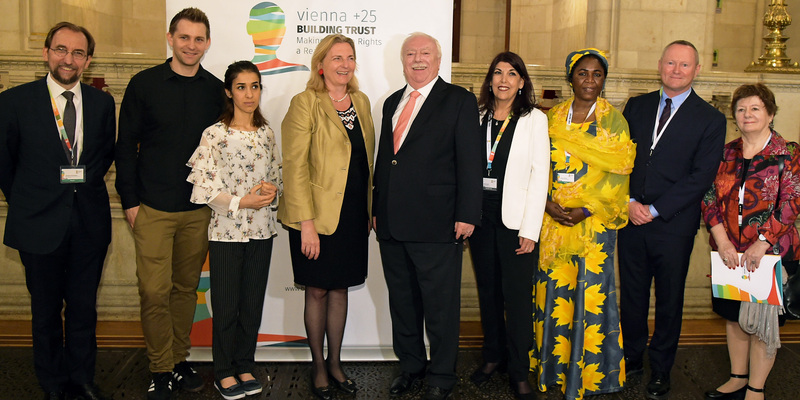 Q5: On May 2018, Vienna hosted the Conference “Vienna +25” to celebrate the 25 anniversary of the Vienna Declaration and Programme of Action. On this occasion, and face to high-level representatives from the UN Human Rights system, the Mayor of Vienna stressed the importance of local governments in promoting and protecting human rights in today’s globalized and urbanized world. Could you tell us more about this Conference? 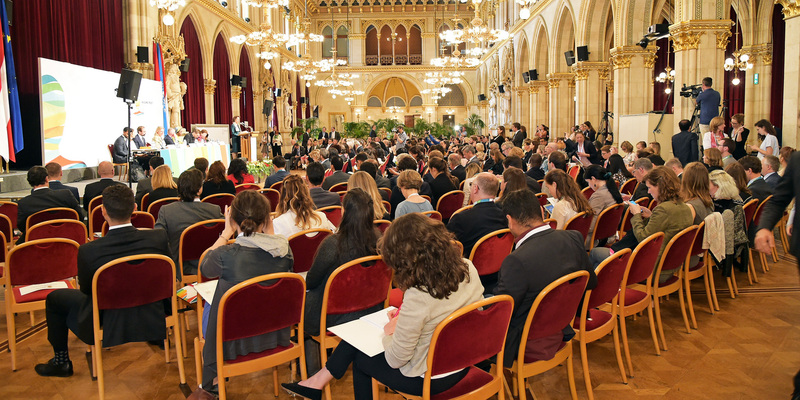 As Human Rights Commissioner of Vienna, I was involved since the beginning in the planning of this conference and the City believed it was more than adequate to bring it to he Wiener Rathaus - the City Hall of Vienna. Five years after the Vienna +20 Conference (2013), Vienna itself had became a human rights city, so having such an important event in the City Hall was a signal of our commitment. The Vienna +25 Conference was very important because, for the first time in all the conferences that we hosted to celebrate the original Vienna Human Rights Conference of 1993, local government were put at the center of discussions as human rights policy stakeholder. Subjects discussed had a clear relation with local governments’ tasks, like promoting equality in our societies or safety and security. In accessing local governments services, we do need equal access and to combat discrimination. Local governments are a paramount stakeholder in promoting social inclusion in a diverse society. Human rights were taken into account in security policies during the Conference. Discussions tackled the issue of security in itself beyond terrorism and criminality: How can a city population feel completely secure? Defining security should take into account its broad nature in the city – if a child is able to come back home from school by himself, can grow up free from fear and have access to education and later on to labor market. In the end, this is also about having trust in local authorities: If I am unemployed, is there any system for supporting? If I can’t afford my flat temporary, can I receive help? Trust is the most important thing when living in a city, and this should be a guideline to define our approach to security. Q6: Indeed, your city is also known for developing new approaches to urban security that take into account a human rights based approach through your participation in the European Forum on Urban Security – EFUS: Could you tell us a little bit more about this process? Exactly! Vienna is an active member of the European Forum on Urban Security. Thanks to debates hosted in this Forum, we have been able to engage in conversation with police forces in different cities and the expert community, and to bring discussions around urban security in fields like anti-discrimination, equality or de-radicalization. Radicalization is not only a religious phenomenon, but there are actually so many different types of radicalization – for example, against LGTBI people or right-wing extremism… I believe that we have to look at this phenomenon more broadly. As a matter of fact, we plan to start a working group on this topic by 2019 that helps local governments introduce the human rights based approach to its policies on urban security. Q7: Why do you believe it is important for local governments to promote initiatives in the field of human rights both at the local and international levels? Exchanging points of view is important at an initial stage, but afterwards we have to establish some priority actions linked to implementation. 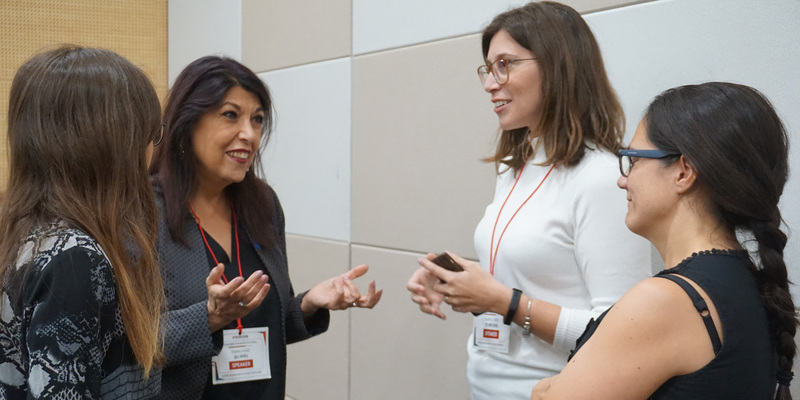 Networking, exchange and debating are good, but it’s not enough. Even if we do it in small steps, I believe that bringing it to implementation will contribute to giving more sense to what we have learnt. In my opinion, implementation of human rights means equality and dignity for everybody. If we speak about human rights, some people think you only refer to certain groups in the society. We have to stress the importance of human rights as values that are for everybody and that help us live together.